Your flooring is something which will stick for you for a long period of time and it is not something which you can change easily as the other aspects of the home. So, you want to get it right the very first time. There are lots of flooring types available in the market; we will give you an idea of different types of flooring to help you make the best choice. Vinyl plank is great looking modern flooring for your kitchen which is also relatively easier to maintain. The other added advantage of vinyl flooring is that it can be easily repaired in case of any damage since they are put in the form of planks. When compared to hardwood flooring vinyl is softer and more durable especially for high traffic areas of the home like the kitchen. 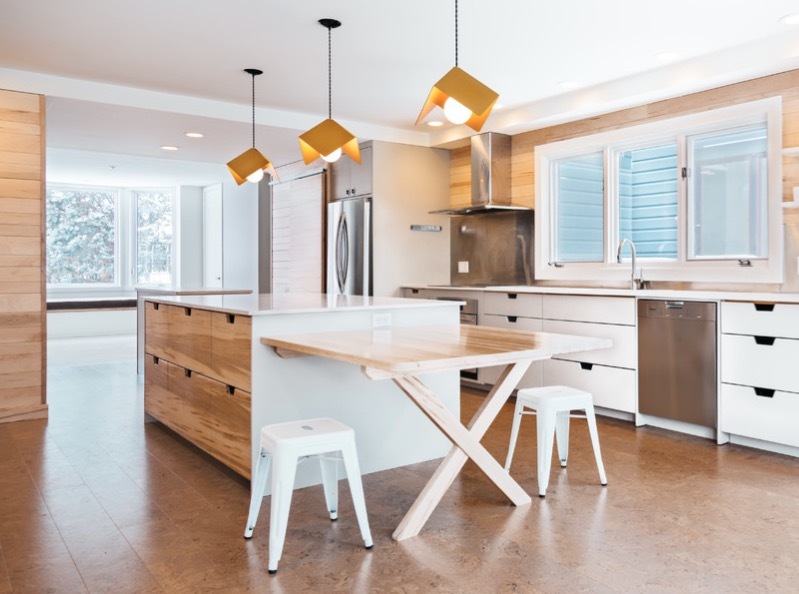 Hardwood flooring is great looking, giving you a stylish feel and comes with the added advantage of being easy to clean making it perfect for modular kitchens. You are also offered a variety of colors in the market with plenty of colors and finishes to choose from. However, hardwood requires some amount of maintenance and you need to be careful before choosing it to be applied in high traffic areas. 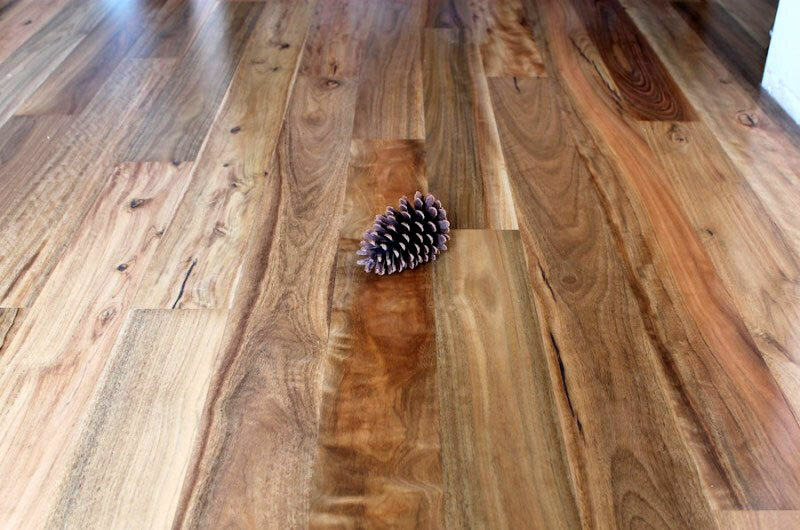 You may need to buff or re-polish the hardwood over a period of time to retain the beautiful and glossy finish of the flooring. 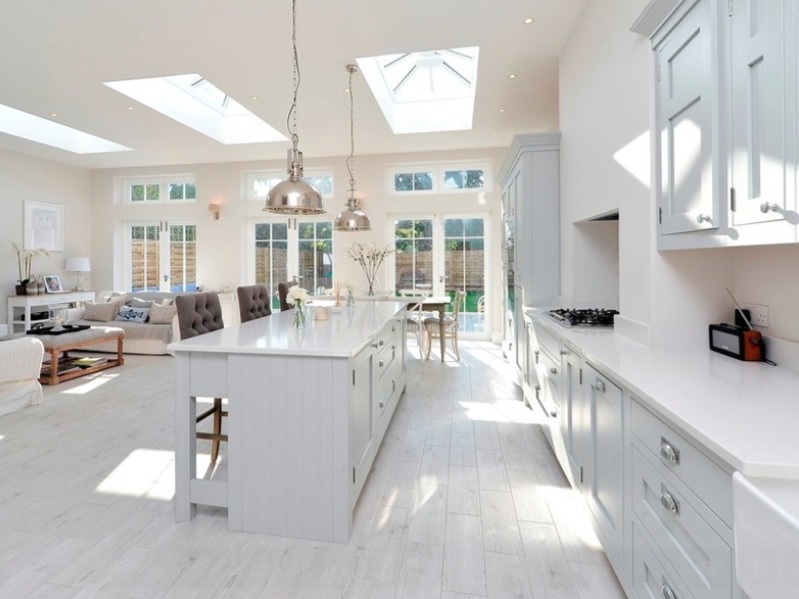 Tiles are one of the perfect options available in the market when it comes to areas like the kitchen. Tiles are hard wearing and seal in moisture making them one of the most preferred choices for the kitchen. 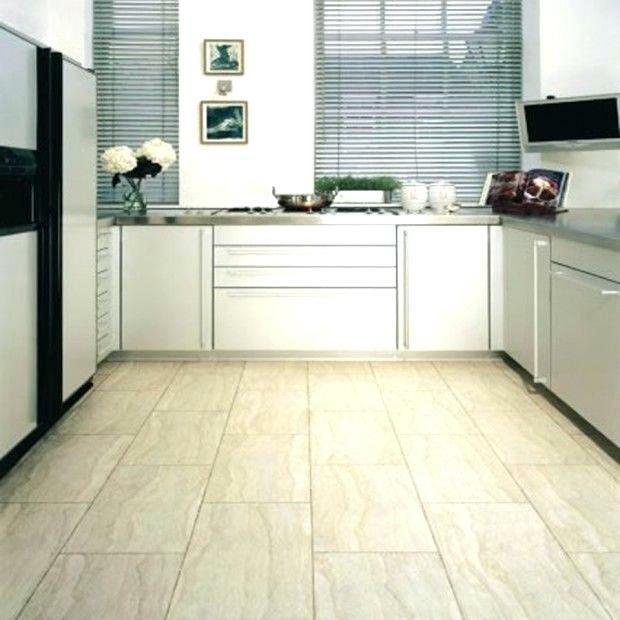 These tiles are lovely to look at and also keep the kitchen cool, especially during the warm and tropical climate. You also have a great selection to choose from ranging from patterns and styles to create the best look for your kitchen. 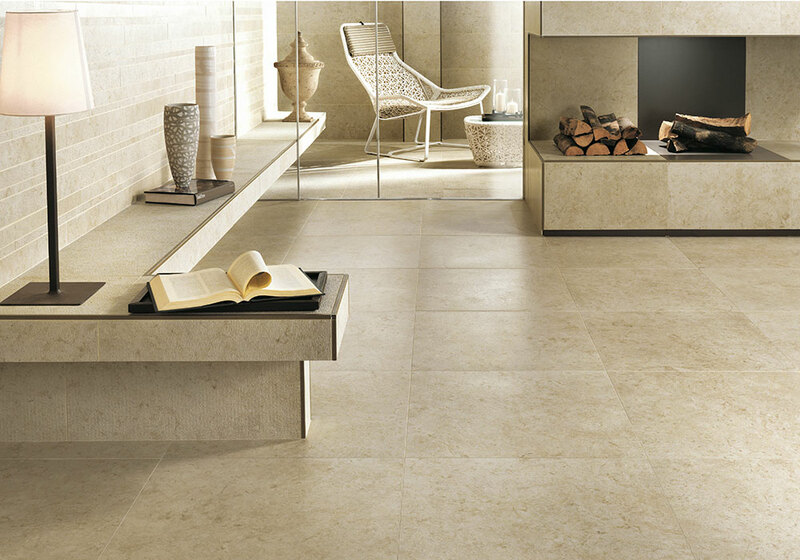 Ceramic tile is a durable flooring material which is hard, resilient and impervious to water and stains. Ceramic is hard and can last for years, resisting heat and breakage without changing the appearance making it the right choice for kitchens. Ceramic tiles are also available in numerous colors, faux natural patterns, as well as sizes, shapes, and even mosaics, giving you a wealth of design options. Natural stone is hard as a rock making it a long-lasting and durable solution for the long run. Stone comes with a variety of advantages such as the natural hardness making it scratch resistant and therefore long-lasting. Different stones come with different properties. For instance: if slate and granite are properly sealed and maintained it can last for many decades. Stones like travertine and sandstone are more receptive to wear and tear over a long period of time whereas, the marble will be one of the quickest to degrade with scratches and stains. Many people prefer porcelain flooring since it is a hard material which is durable and extremely stain resistant making it the go-to choice for many homeowners. It is a waterproof option which is extremely stain resistant better suited for kitchens. The challenging part about this kind of flooring is that you can easily slip and fall into making it not suitable for children and it is difficult to stand on if you have to work in the kitchen for a long period of time. 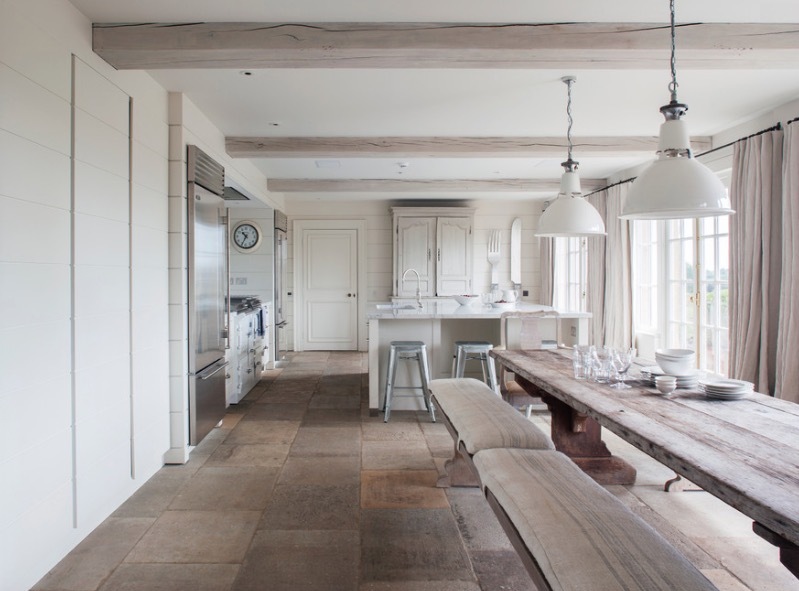 Concrete is a great inexpensive and lasting option, especially for a ground level kitchen. 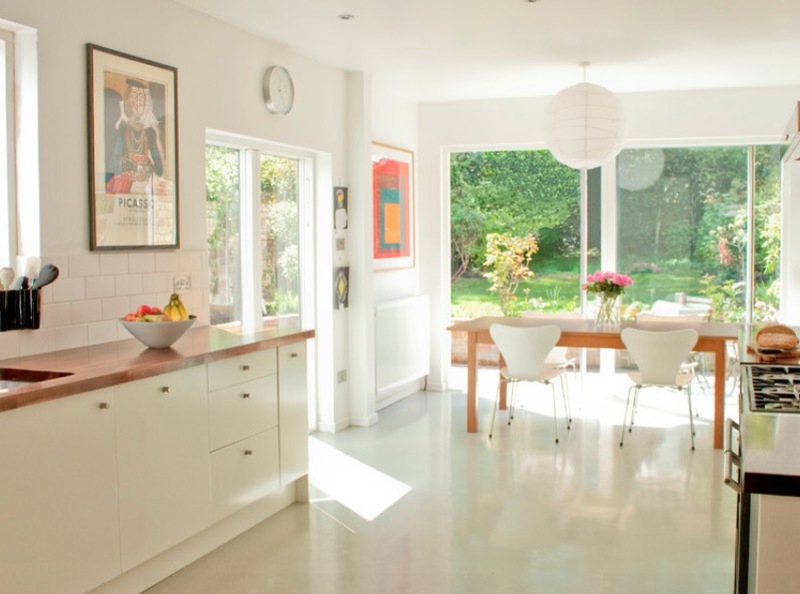 A concrete slab can also act as an essential floor covering. 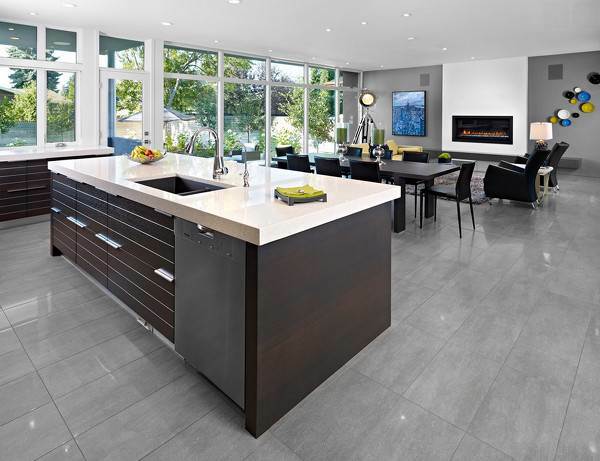 To beautify the concrete for the kitchen you can polish it to make it stylish and attractive. If a slab is not available then you can also add a new pour over the subfloor surfaces. 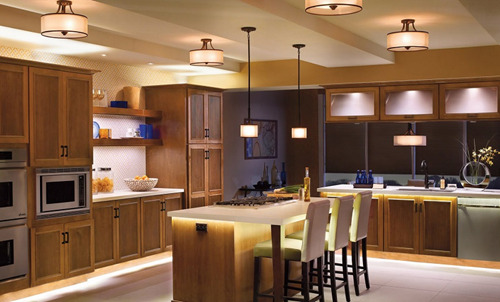 Bamboo is similar to the feel and the look of hardwood but bamboo is comparatively a harder material which is more resistant to moisture and water damage making it a better option for the kitchen. One of the biggest drawbacks of bamboo is that the refinishing is harder since there is no natural grain direction to the material. Many times this requires a professional to get the work done efficiently. Linoleum was a very popular material which was used in kitchens almost 50 years ago which is today making its comeback in the kitchens. Linoleum is a natural material which is made from natural linseed oil making it an easier option to clean and maintain for many decades. One of the drawbacks is that it does not work well with water and can be damaged easily. It is great for everyday use but can be gravely damaged in case of a huge waters spill caused due to a pipe burst in the kitchen. Cork is eco-friendly material which is soft and easy to walk on making it highly sustainable. It also has a moisture resistant structure which makes it easy to absorb water in case of any spills in the kitchen. The disadvantage is that it may discolor over time and requires sealing every three to four years. Today cork is becoming a popular flooring option for kitchens since it is easy to clean and one of the best floorings for the kitchen. It is an eco-friendly option since the tree bark grows back; cork can be harvested again every eight to ten years without depleting valuable tree resources. Many people usually do not prefer carpet as kitchen flooring, but modern kitchens are today still opting for this option. 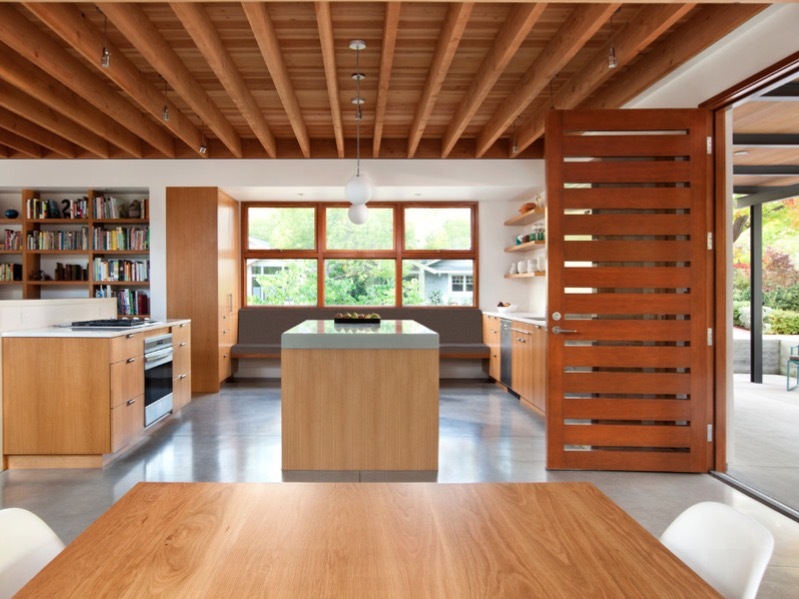 Lately, carpet kitchen tiles are in demand for homeowners. These tiles are designed for high industrial use and are durable and easy to clean and install. One of the best parts about it is that the carpet can be easily removed for cleaning and then put back again. #Tip: To add a more modern look to your kitchen use carpet tiles selectively in certain areas of your kitchen. 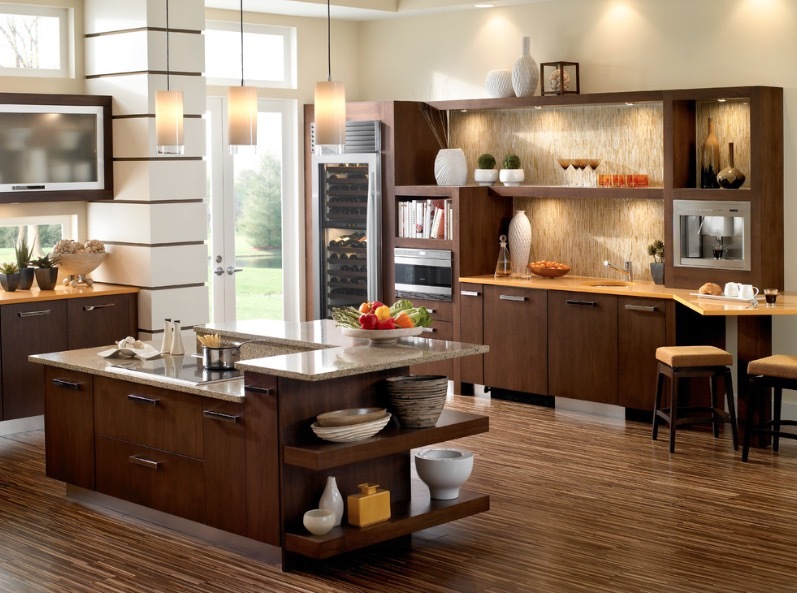 If you are looking for an affordable and durable kitchen flooring idea, laminate flooring is the answer. The top layer of the flooring can easily withstand a lot of traffic. If you add soft padding underneath the flooring it makes it a soft and ergonomic solution. Further, laminate flooring is easy to install and comes with a wide variety of styles making it a simple and modern solution for the kitchens. Rubber as a material is quite similar to cork but it comes in a huge variety of textures and colors. Rubber flooring can be available in the form of sheets or tiles. 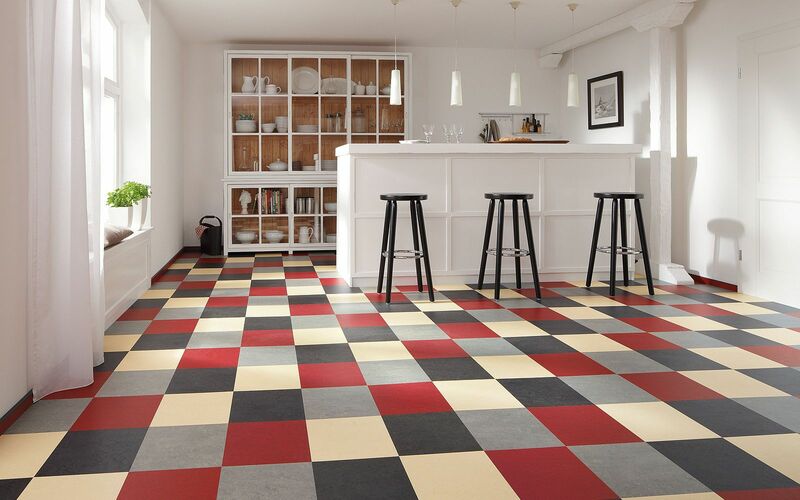 Rubber is easy to install with high grip flooring making it the perfect choice for rented apartments. If you choose richer and darker colors it will help to hide the stains better making it a durable and slip-free surface. So here you can see that there is a huge variety of styles and options available, so you can easily mix it up with carpet and tiles. All you need is a little preparation and guidance to find the perfect fit for your taste and lifestyle.